Screenshot from PDF of U2’s liner notes. I can’t believe the news today! U2 releases its latest album, Songs of Innocence, exclusively through iTunes — and for free — but types out the lyrics. (OK, someone probably used a computer font, but the sentiment is the same.) Blending the new with the old, U2 calls upon diverse technologies and diverse attitudes. When I was younger, so much younger than today, I purchased vinyl albums. Then, CDs. Finally, digital recordings. The musical experience has changed and evolved so much that it is difficult to grasp. What have U2 released? An album? An experience? I can’t say. At this point, all I can do is surrender to the experience. Note: If you want a copy of the album, simply visit the iTunes store. 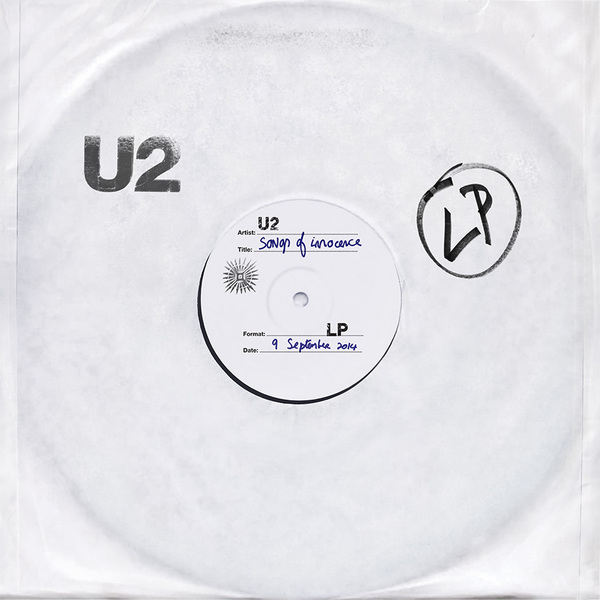 My early view is that Songs of Innocence is magnificent. There’s “free” and then there’s “Apple free”. 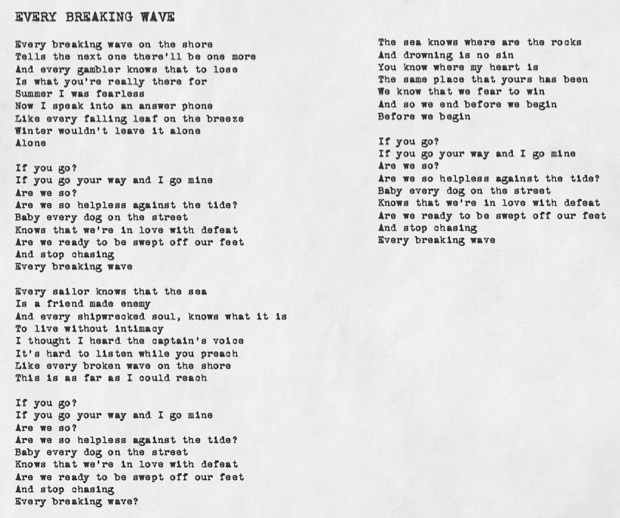 Yeah, but the lyrics are “typed”!